This is a recipe for Spaghetti Nests. Spaghetti noodles are cooked then coated with egg. Using your favorite casserole dish, form the spaghetti into circles and tip with fresh Mozarella cheese and Napa Valley Tomato and Sweet Basil Sauce. 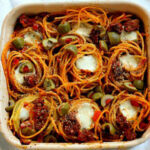 Spaghetti Nests with Mezzetta Napa Valley Tomato and Sweet Basil Sauce. Thanks once again to my favorite food in a jar, Mezzetta. For as long as I can remember, I’ve always reached for their jars of olives and pickles, but did you know they also make pasta sauces? Spaghetti is one of my favorite and easy weeknight meal thanks to that aisle of jarred sauces. My little secret is to buy the sauce and then doctor it up with a good Italian sausage and a sprinkle of fennel seed. That’s it…and everyone raves. However, I don’t make that easy version often because of the ingredients listed on the labels on those jars…lots of sodium, high fructose corn syrup and some you can’t pronounce. Mezzetta states on the front of their label “all natural” and they mean it. I can now feel safe about serving this jarred sauce to my family. Real food. Take a look at the ingredients listed: No added sugar, California plum tomatoes, imported olive oil, fresh onions and roasted garlic, fresh basil, sea salt and spices. For this project, I decided to put a twist on my easy stove top spaghetti and make baked spaghetti nests. Here are my little swirls of goodness ready for the oven. I made my sauce as described above and cooked the spaghetti very al la dente. In a large bowl, I mixed one egg and the pasta sauce and then poured in the spaghetti to coat. 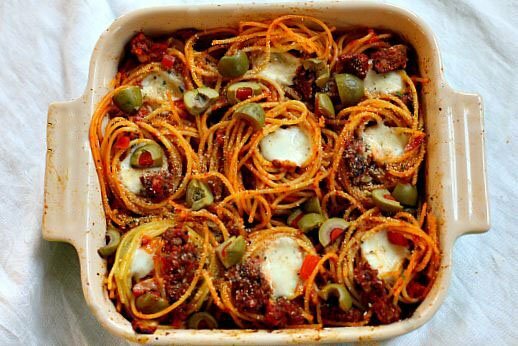 Using a spoon and fork, I twirled the spaghetti into little nests and placed them in the baking pan. I pushed little balls of fresh mozzarella into the center of each nest, sprinkled with some Italian bread crumbs and some Mezzetta Green Olives for zing and baked them. Out of the oven and ready to dig in for the perfect pasta night dinner. One little spaghetti nest with a fresh salad and I felt indulgent but guilt free. 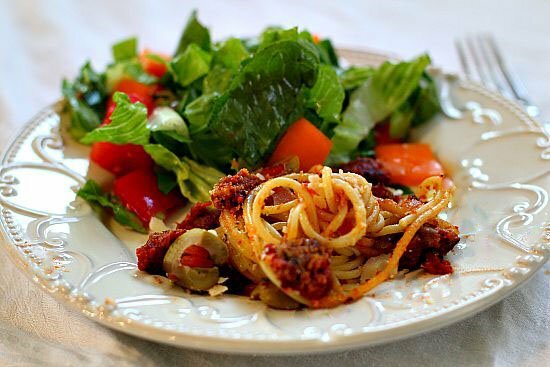 I hope you give this Spaghetti Nests Recipe a try. And if you do, please come back and let me know how you liked it and give the recipe a star rating. Your feedback is valuable to me for developing future recipes. 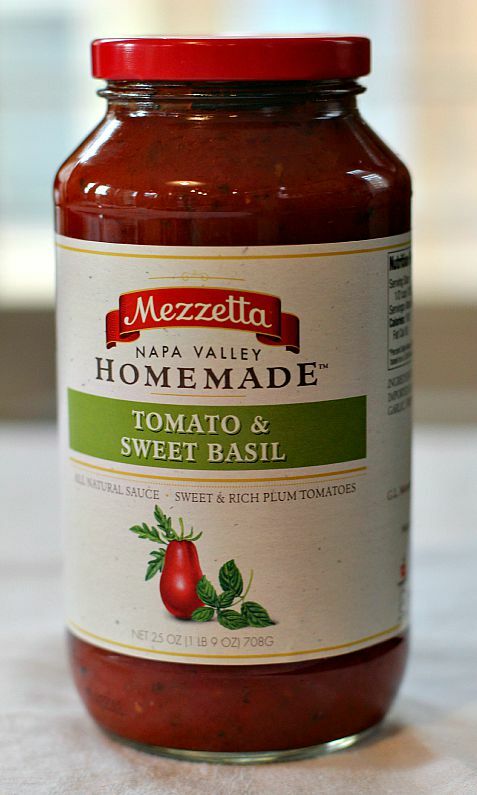 And if you have a favorite spaghetti recipe using Mezzetta sauces, let me know, I’d love to give it a try. A twist on spaghetti, these little pasta nests are an easy and fun weeknight dinner. Preheat oven to 350 degrees. In a large sauce pan cook the spaghetti according to package directions, minus two minutes, so it's very al la dente. In the meantime, in a large fry pan over medium heat, fry the Italian Sausage until cooked through. Drain off any grease and then stir in the entire jar of the Mezzetta pasta sauce and the fennel seed. Cook until just reheated. In a large mixing bowl, add one egg, beaten. Drain the spaghetti and add to the bowl with the egg and mix well. Add the sauce and stir gently. Using a large serving spoon and a fork, twirl the spaghetti into nests and place in a 9 x 13" baking pan sprayed with non-stick spray. When all the nests are in place, push one of the mini mozzarella balls into the enter of each. Sprinkle with Italian bread crumbs and sliced green olives. Bake until nice and steamy. 30 minutes. 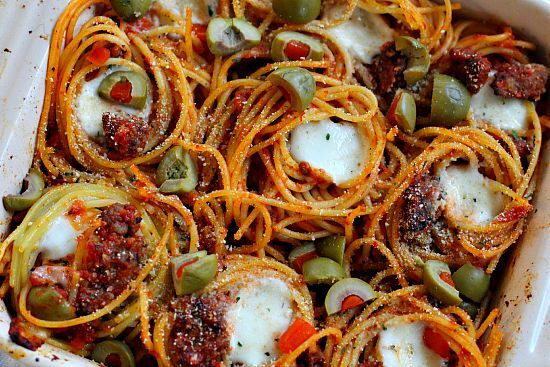 Spaghetti Nests …They’re whats for Dinner. These are adorable Lea Ann. I love these kinds of recipes – indulgent and guilt free. Hope you have a lovely long weekend too. 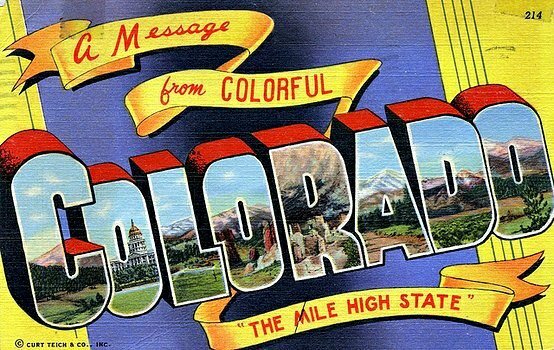 Good info about the sauce. This dish is not at all what I expected from reading the title. It looks and sounds delicious. Hi Lea Ann, love these spaghetti nests they are so creative and beautiful. This would make the most pickiest eater in our family very happy. These look adorable! Can’t wait to try it. 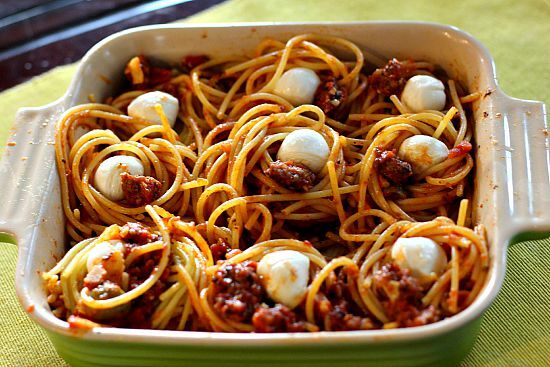 Spaghetti nests…what a great idea! Looks delicious and what a lovely presentation. That is the perfect pasta night. And I love those cute little nests! I’d be chirping away after this-and maybe a bottle of wine! Really great presentation. I love the addition of olives. Makes me think of my grandmother’s spaghetti. I don’t know why I’ve never put olives on spaghetti before. I really liked it. Thx for the sauce info. How cute are these – my Grandson, Jack, loves to cook with me. I’ll try these with him. I really liked that sauce Barb. Must better than what I’ve been using before. So simple and creative! I’ve got to make these for my next dinner party! 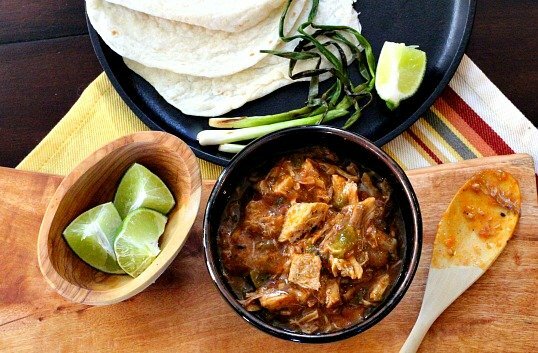 Thank you for sharing this awesome recipe!